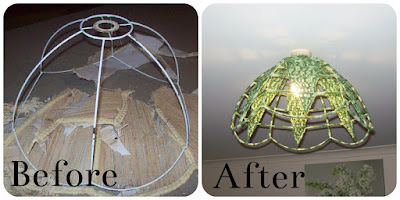 Don't throw those tired old light shades out, they can be be brought back to life with a bit of imagination, a crochet hook and some yarn. Here are three that I plan on working on and I have finished the first one. 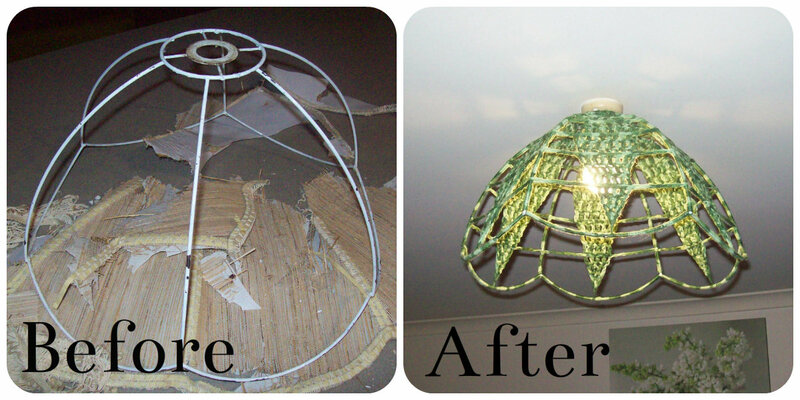 I wanted a simple and open light light shade to go over the dining table. I could have added more elements to the light shade, but as I said I wanted something simple. I'm glad I took the time to wrap the exposed frame, the variegated yarn looks quite impressive.